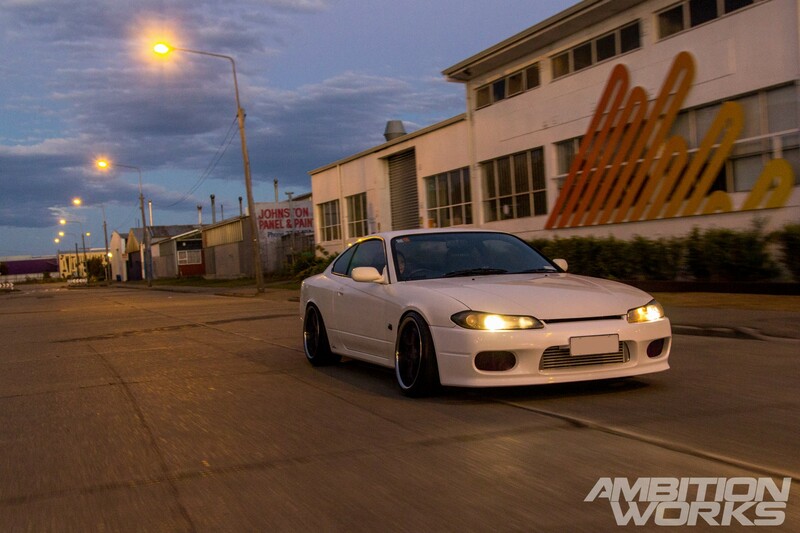 The Nissan Silvia which is now hitting the 15 year old mark is a classic in the making. 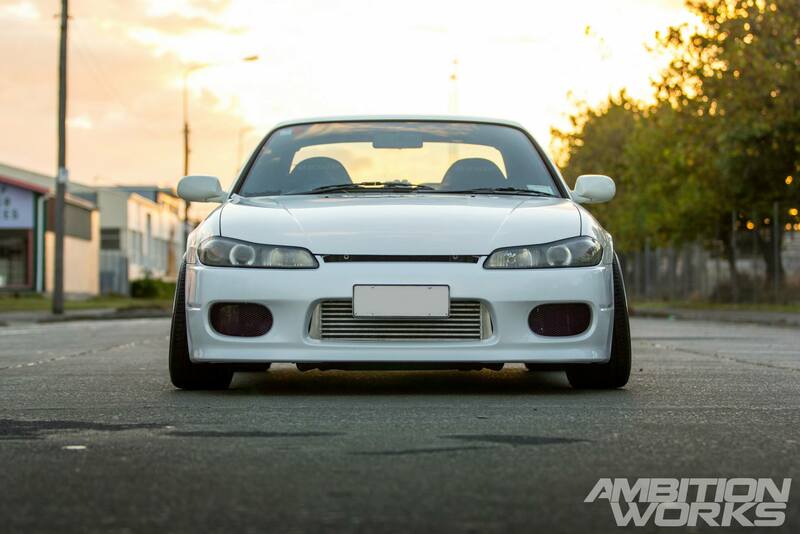 You wouldn’t think looking at the S15 Silvia that it was half way through it’s teenage years, closing in on it’s 18th birthday. During my trip to Christchurch I had a couple spare days and a few spare nights up my sleeve, so I went to the internet looking for potential cars and seeing what the residents of Christchurch had hiding in their garages ready for a photoshoot. 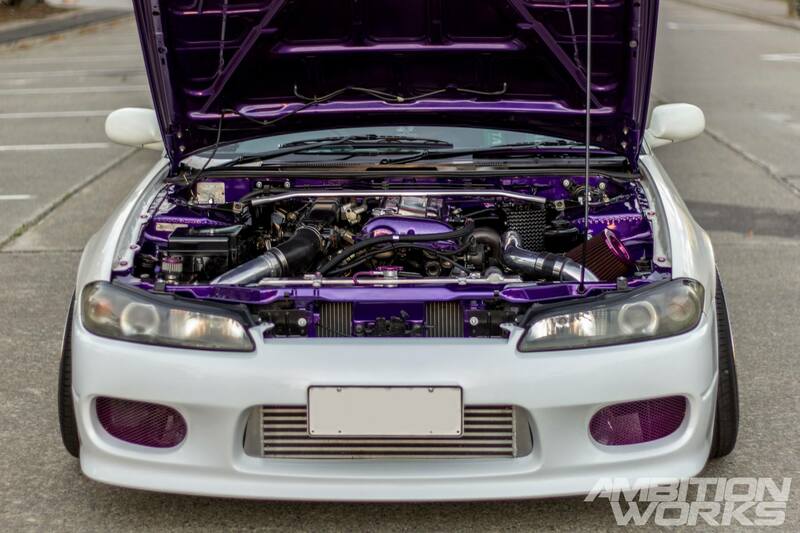 A 15 year old produced in the year 2000 Nissan Silvia S15 was what came out of the shadows, that is, the internet. Owner Chevenne a 21 year old female from Christchurch, New Zealand, got in contact and with nothing else planned for the evening after D1NZ practice day we agreed to get in a few shots before the blood moon was to reveal itself later that night. 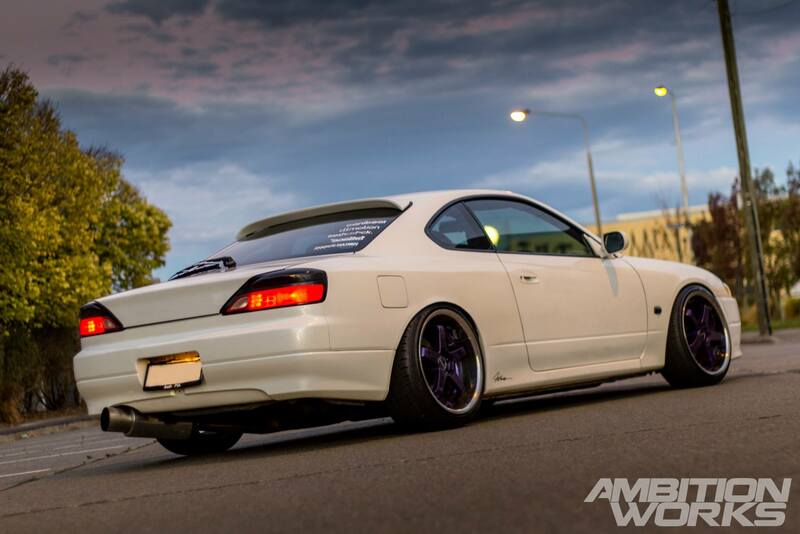 Chevenne purchased this S15 two and a half years ago stock standard. It was badged as a Spec S Silvia which meant no turbo however it came factory manual as that was still an option for the Spec S variant of the Silvia. 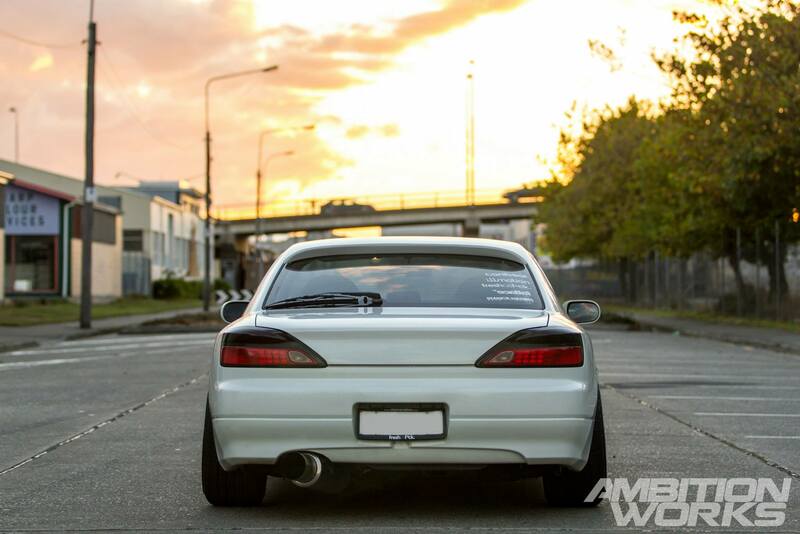 The reason for purchasing the S15 stock and unmolested was the same reason that everyone else buys an untouched car. She wanted the car to reflect herself, she wanted the car to match her vision of a dream build and doing that when someone else has already used the car for their likings isn’t as easy nor as fun as starting off with a fresh and clean chassis. So as any build would have it you can only go so far before taking it off the road putting it up on axle stands and letting the real work commence. The engine bay was the first thing that was tackled, out with the old and in with the new. The non-turbo SR20 was thrown aside, and preparation work began on the engine bay. Factory holes that serve no purpose were welded, and the entire bay was smoothed out. 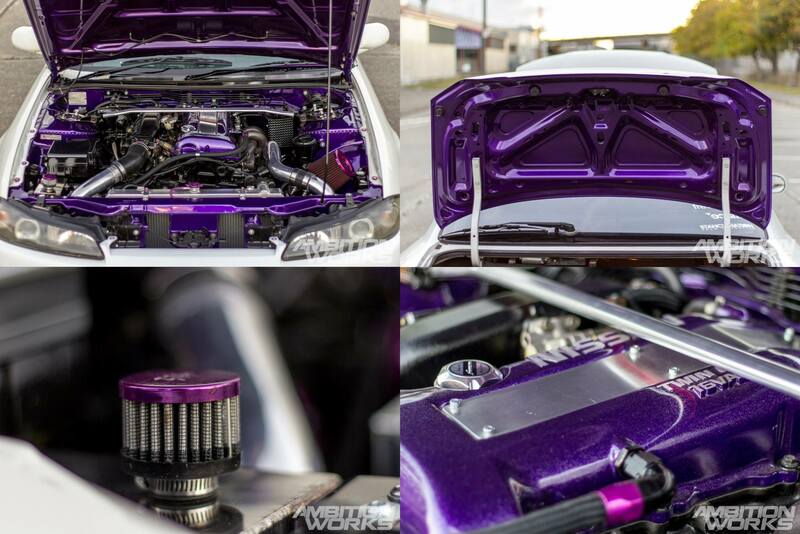 Strut towers were welded and after endless hours of sanding it was ready for a fresh coat of Viper Purple. The newly obtained S15 Spec R SR20DET engine fresh off the boat from Australia was now ready to be dropped in. 18×9.5 with 225/40 tires and 25mm spacers in the rear. With the 9.5 wide wheels and 25mm spacers the rear guards needed some rolling to have the wheels fitting nicely under the factory steel guards. An Origin Labo roof spoiler has been fitted along with some tinkering of the rear lights to give the rear end a slightly different look than factory. BOOM! Opening the bonnet I got a real good shock. 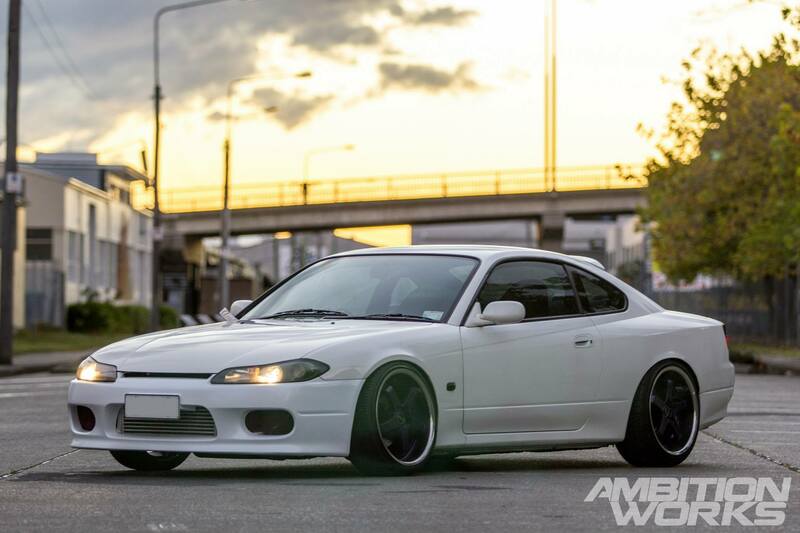 It’s not just a lowered S15 with some nice wheels, some major engine work has been going on here to make it look amazing. Chevenne has not left one spot of dust unturned under the hood. When I was told she had done some work to the engine bay I wasn’t expecting anything like this. It’s almost like you can’t bring yourself to look away from it. The newly added SR20DET has a T28 turbo and a Turbosmart blow off valve to get the much needed ‘sodudu’ noises on the streets. It’s also fitted up with Stainless steel 2 ½ inch exhaust, manifold and dump pipe. A large front mount intercooler and an alloy radiator with twin electric fans to keep everything at a workable temperature. Everything is either white or purple in this car. Even the inside of the boot lid has been sprayed purple. I wouldn’t be surprised if looking under the car at the 5 speed manual gearbox and 2 way differential the only colour that I would see is also purple. Inside the gearbox, where unfortunately you cannot see the colour, sits a heavy duty clutch and flywheel combo. The inside looked like heaven on Earth for all you Silvia lovers out there. The interior also had a lick of custom paint. Bolted onto that paint was a nice set of Bride reclinable low max bucket seats. Nice Nismo floor mats had been added to protect the factory carpet and other small additions like the BWR shift knob and smoked boost gauge made you feel like you were in a real driver’s car. 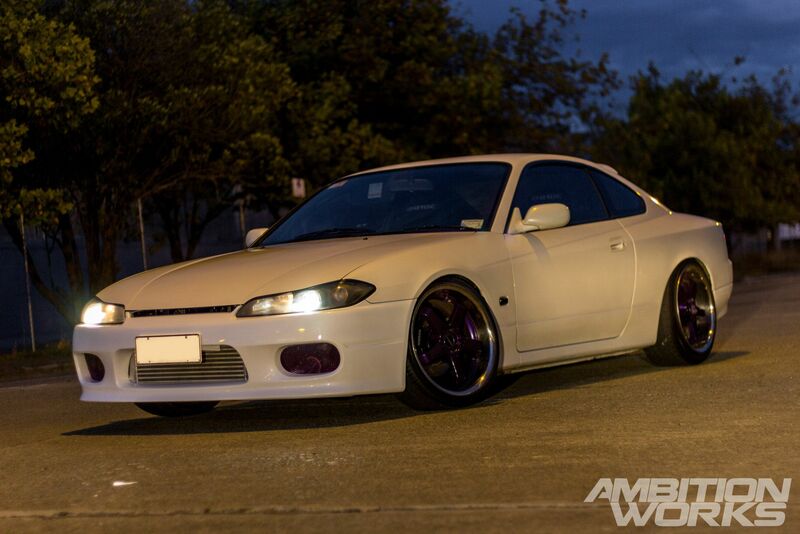 This S15 while it may look like a show pony doesn’t feel like one on the inside or under the bonnet that’s for sure. Along with the tinted lights and roof spoiler a few colour matched extra kilowatt stickers had been added. The other main thing that pulled my attention on the outside of the car was the upgraded brakes. Gone are the factory Silvia brakes and in replacement were a set of R32 GTST Calipers with big DBA slotted rotors and to finish it off new Bendix HD pads all around. It’s always a good idea when the power of your car is increased to make sure the brakes are good enough to be able to stop in an appropriate amount of time and if not, it would be better to upgrade than to be sorry! With daylights saving ending the next morning we had an extra hour of light than tomorrow would have given us, but the sunlight still vanished too fast for my liking. Rolling shots was next on the photo list and left till last as I knew I would be using a slow shutter speed so didn’t need as much light as static shots. It was a rather funny situation at that point. I was in the boot of my rental car with Chevennes partner in the front seat with the rather easy option to drive off with all my gear, that was not the case though! It’s amazing to think that with all that’s going on in the world right now there are still genuine and honest people out there. Although we had exchanged messages this was the first time meeting Chevenne and her S15. The automotive community is one that I am proud to say that I am a part of and that there are genuinely nice people making up the majority of the community that you can just hand your keys over to and they would bring it back with a full tank of gas and clean as a whistle. 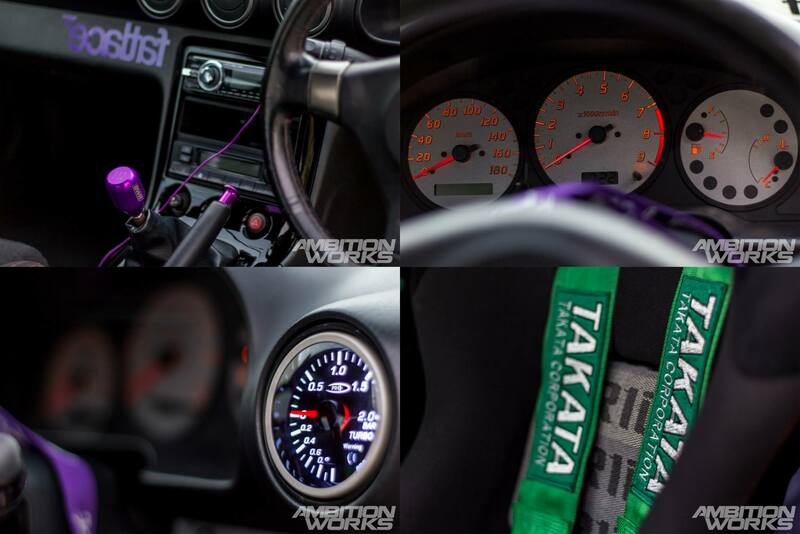 Chevenne still has her eyes set on more modifications with her next wishlist already full of new parts. She would like to give a huge thanks to Brogan at MC motorsport for the endless hours he’s sunk in helping her with the build process. 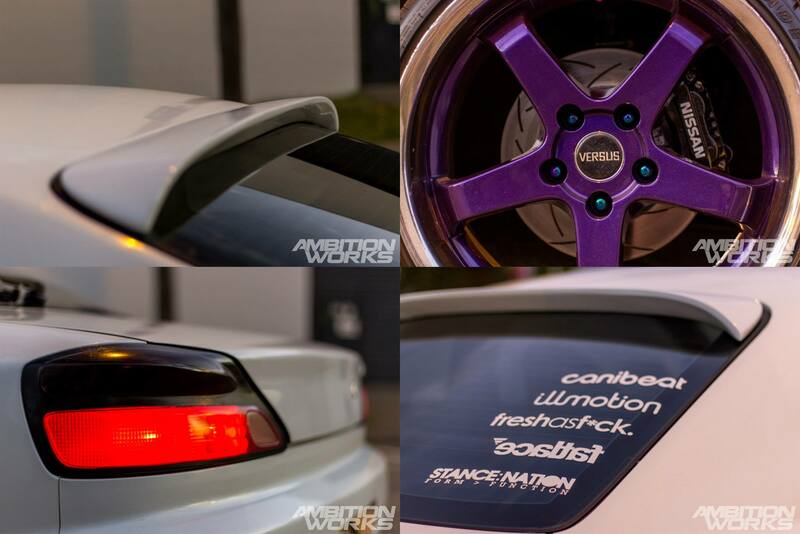 You can see this car in person at the next South Island 4 and Rotary nationals in New Zealand, so keep an eye out!